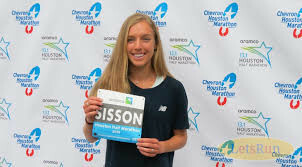 Sara Hall and reported yesterday Jordan Hasay will join defending champions Desiree Linden and Tatyana McFadden on the starting line of the 123rd Boston Marathon on Monday, April 15, part of the event's elite women American field. 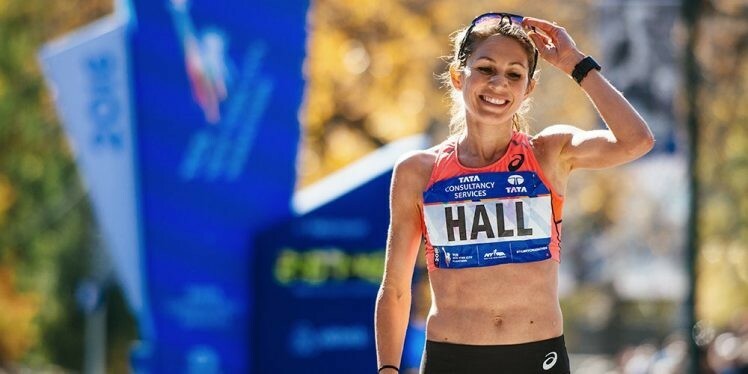 John Hancock, the financial services company which manages and bankrolls the race's top athletes on behalf of the Boston Athletic Association, reported earlier today that Hasay and Hall would be part of a 29-athlete elite American field. 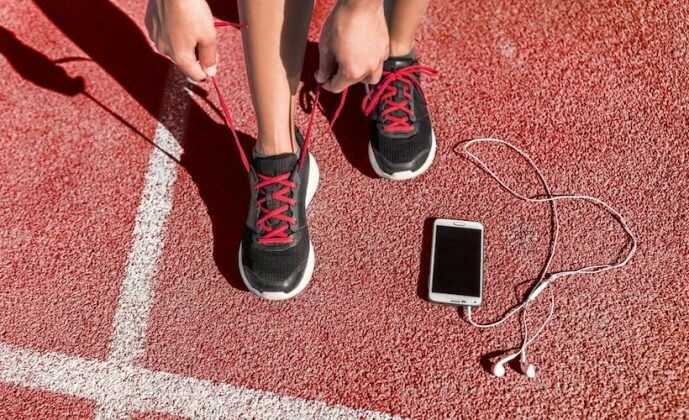 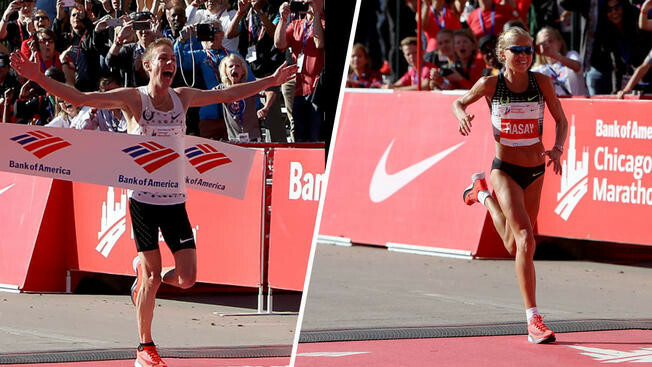 "American distance running has never been stronger, and we're honored to support this talented U.S. elite team to showcase their dedication and passion for being the best of class," said John Hancock chief marketing officer Barbara Goose. 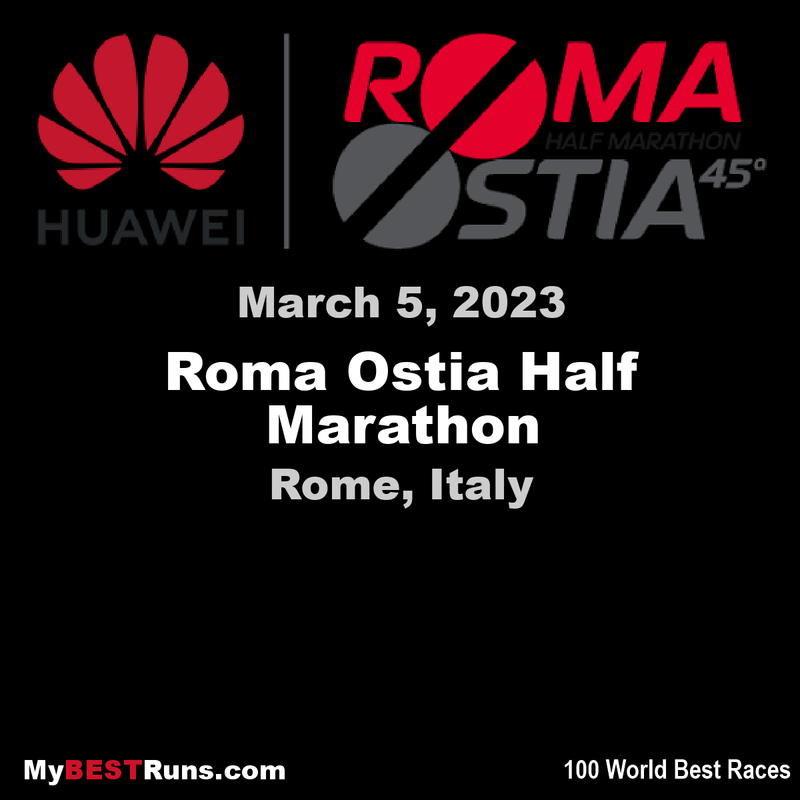 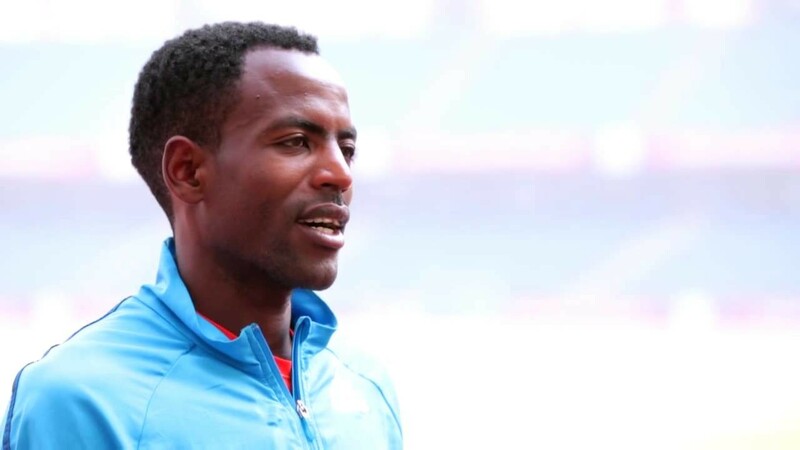 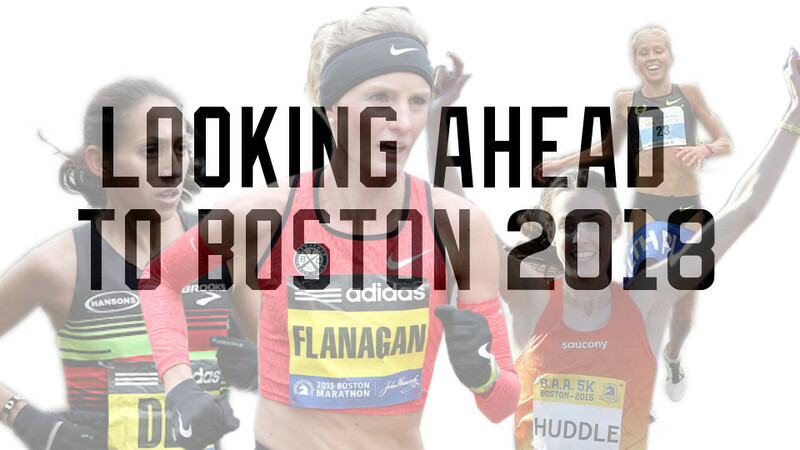 "With defending champions Des Linden and Tatyana McFadden leading the way, all runners are sure to persevere in the world's most historic race. 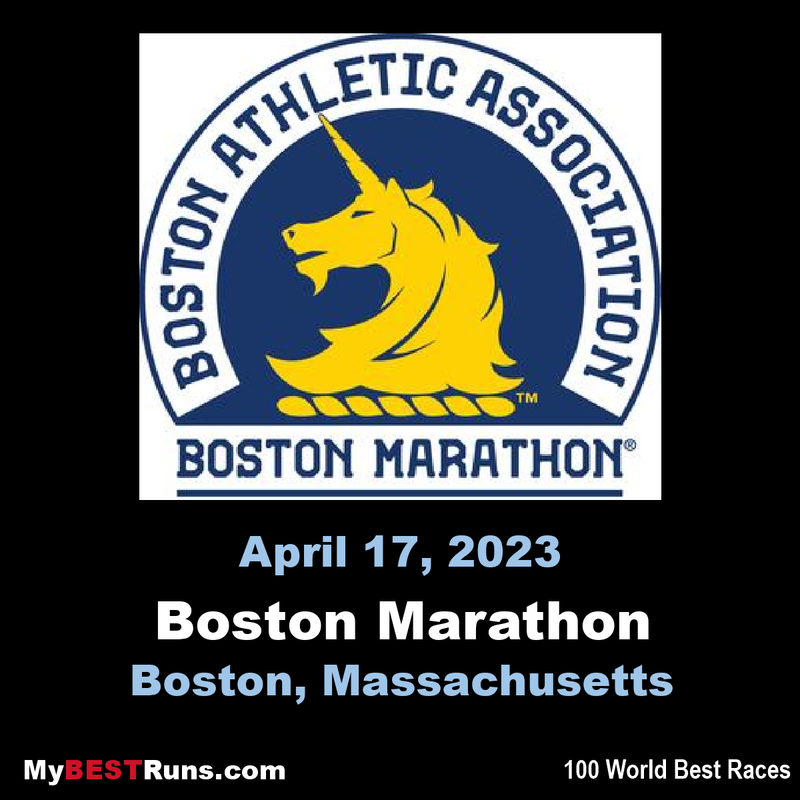 We'll be cheering for everyone on Patriots' Day." 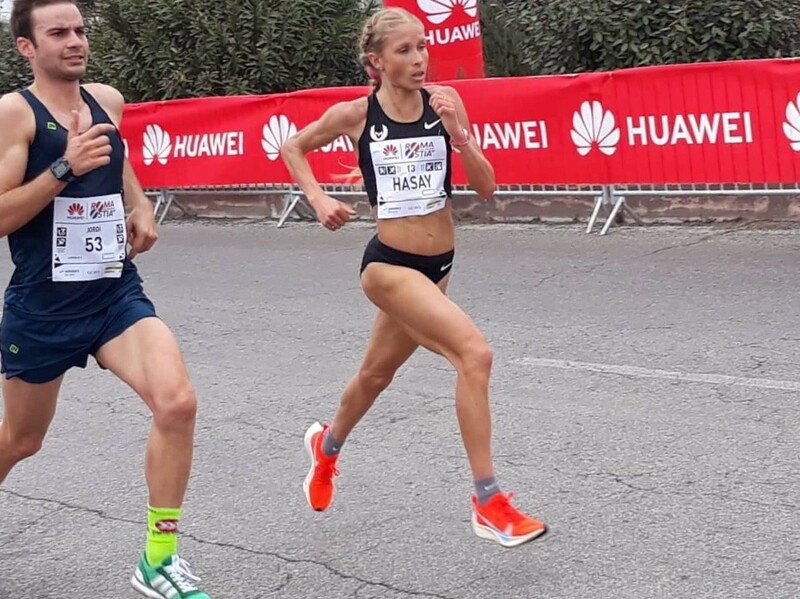 Hasay, 27, whose 2:23:00 marathon debut in Boston in 2017 remains the fastest-ever by an American woman, also signed up for the 2018 edition of the race but was unable to start due to a stress reaction in her heel. 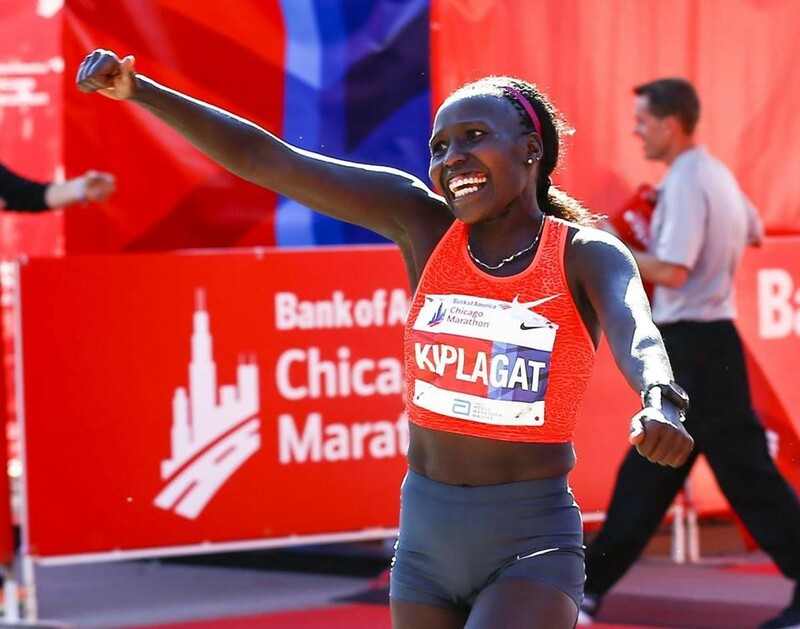 She had backed up her Boston performance with a 2:20:57 in Chicago in October, 2017, but has not run a marathon since. 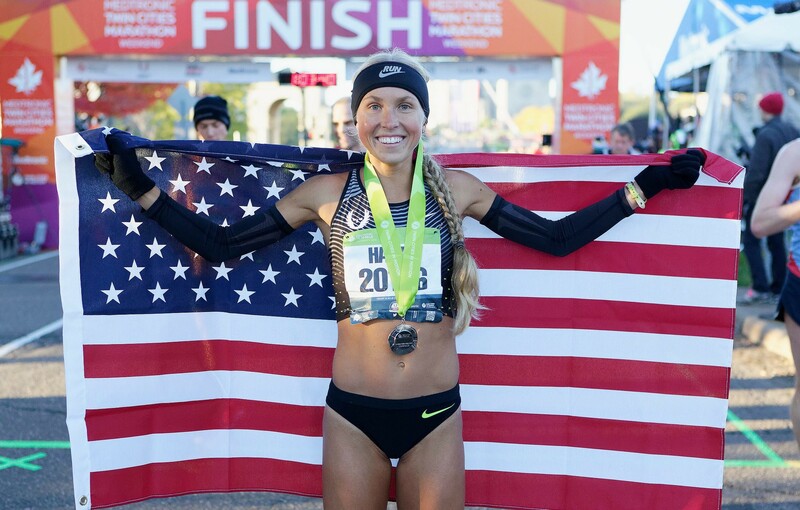 Hasay was the 2017 USA 15-K and 20-K road running champion. 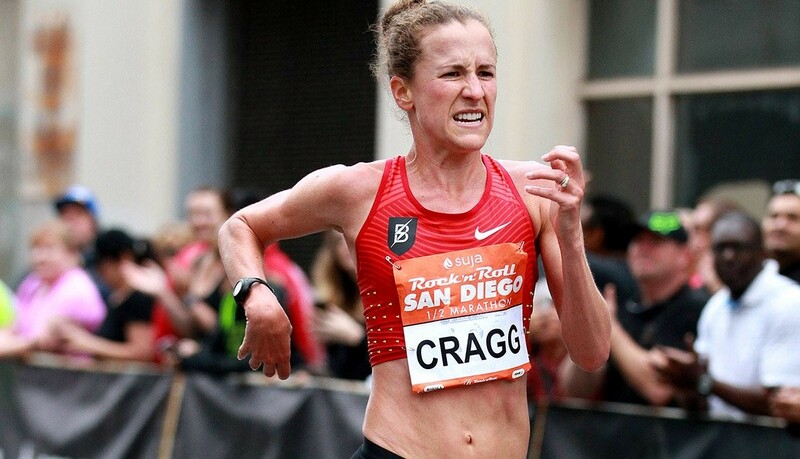 Hall, 35, was the 2017 USA marathon champion and is the only American athlete in history with national road racing titles from the mile to the marathon. 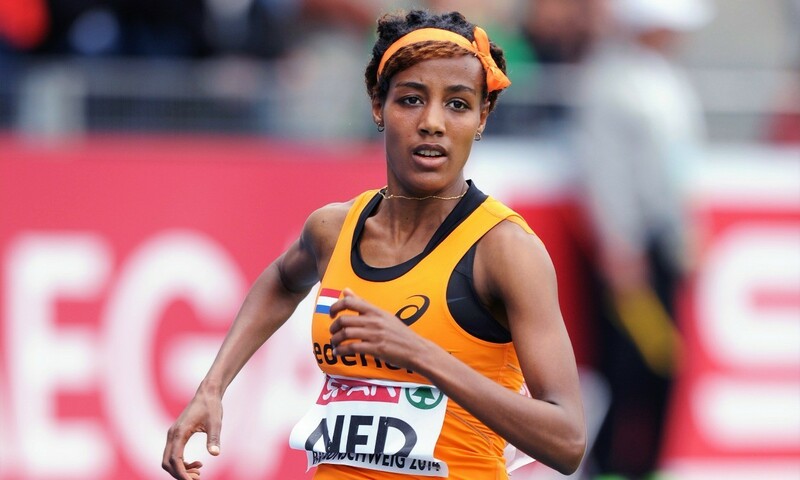 She ran a personal best 2:26:20 at the Scotiabank Ottawa Marathon last May, but dropped out of the Mainova Frankfurt Marathon last October after running 25 kilometers with a "tweaked" peroneal, according to her official Twitter account. 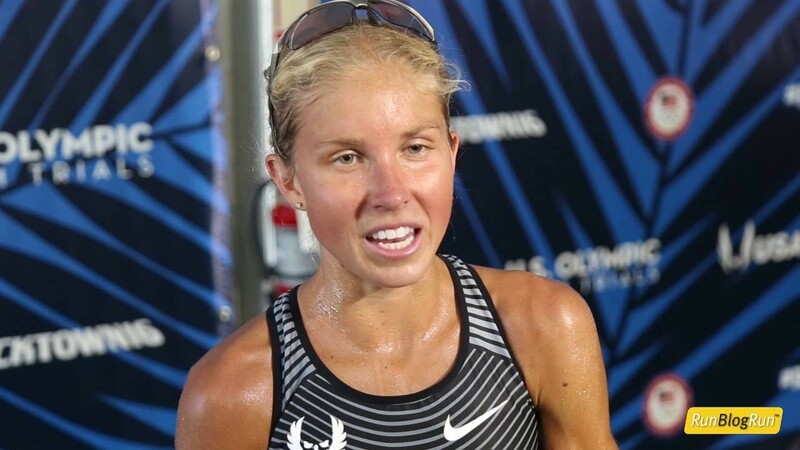 Even through two significant foot injuries in 2018, Jordan Hasay remains optimistic about her long-term running career and is focused on having a successful year leading up to the 2020 U.S. Olympic Trials. 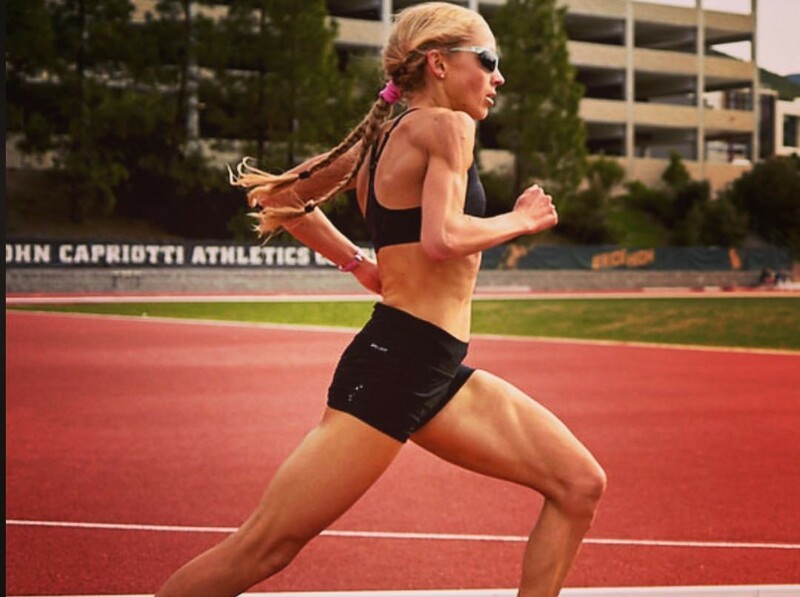 Hasay captured the attention of the running world when she finished third at the Boston Marathon in April 2017. 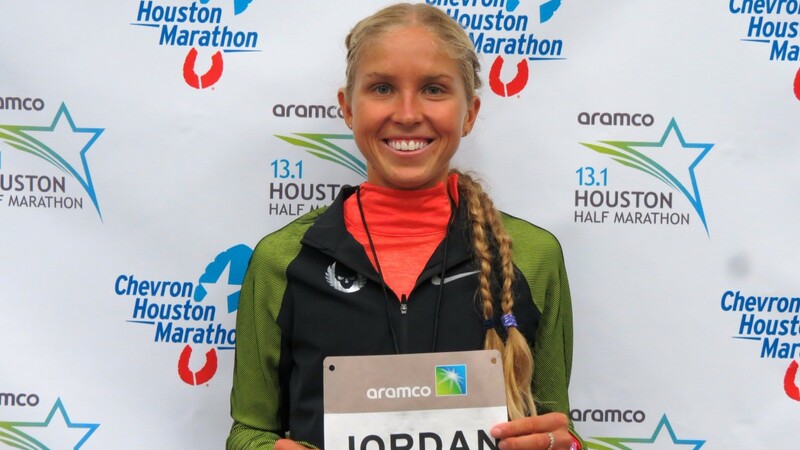 Jordan shattered the record for an American woman in her marathon debut by nearly three minutes. 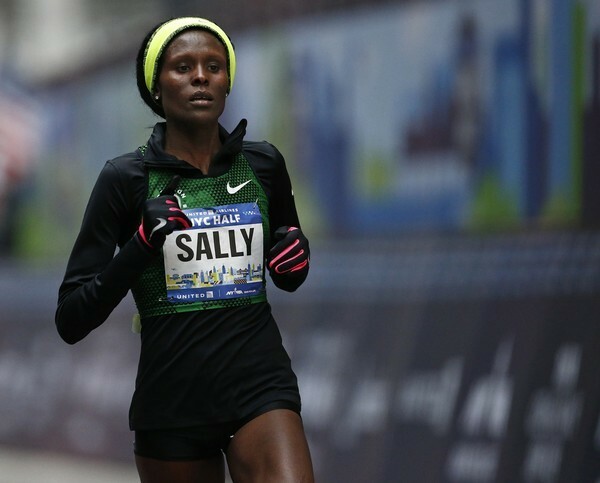 Six months later, Hasay cemented her status among the world’s elite marathon runners with a third-place finish at the Chicago Marathon. 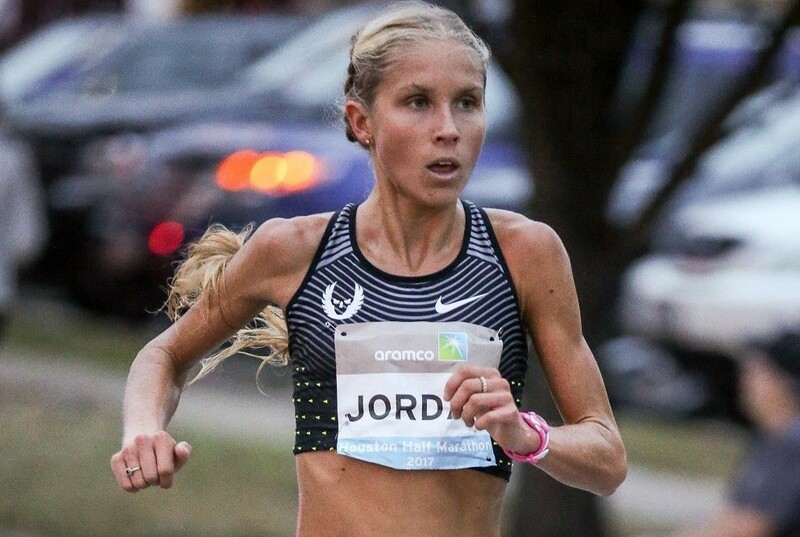 She clocked 2:20:57, the second-fastest marathon time ever recorded by an American woman. 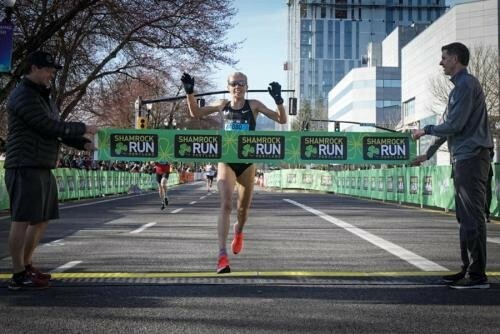 Hasay, an 18-time All-American at the University of Oregon, had her sights set on breaking Deena Kastor’s American record this year when she suffered two separate fractures to the bone in her left heel. 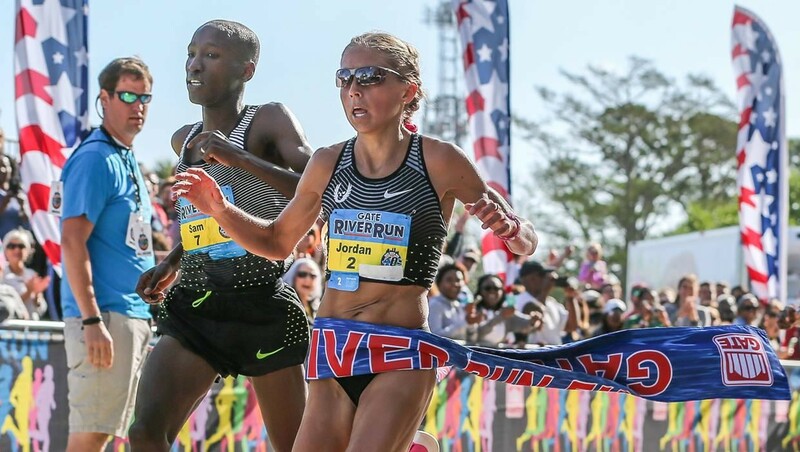 In April, Hasay withdrew from the Boston Marathon the day before the race after an MRI revealed the significance of the initial injury. 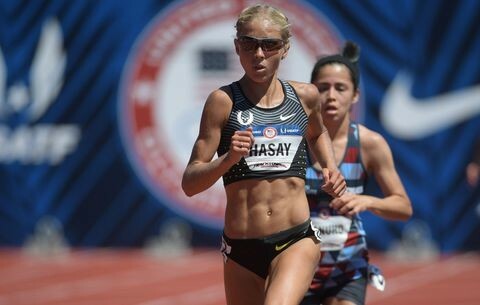 Hasay said she was encouraged the first injury healed so well, and she expects to make a full recovery from the most recent setback. 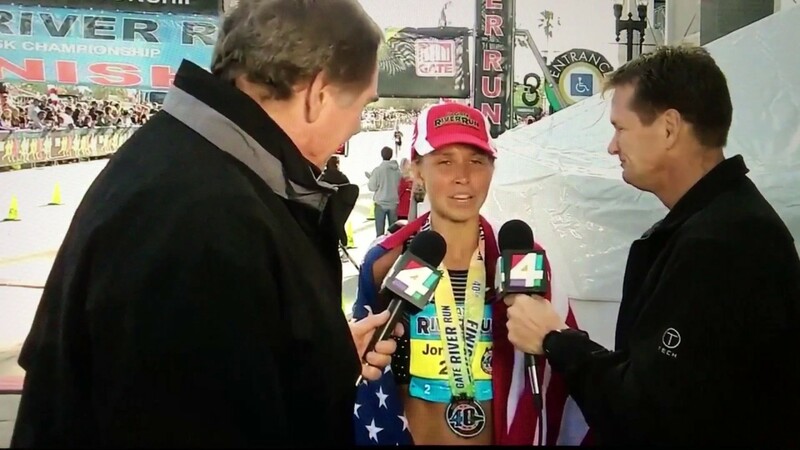 She’s thankful to be able to return the Central Coast and spend time with family while she rests and recovers. 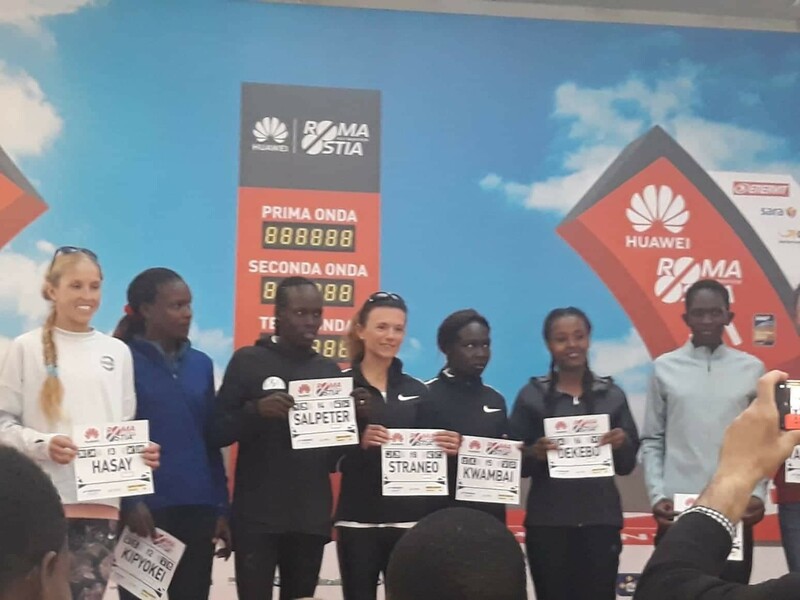 Sacrificing eight weeks of running is a concession Hasay is ready to make for what she hopes will be a long career ahead. 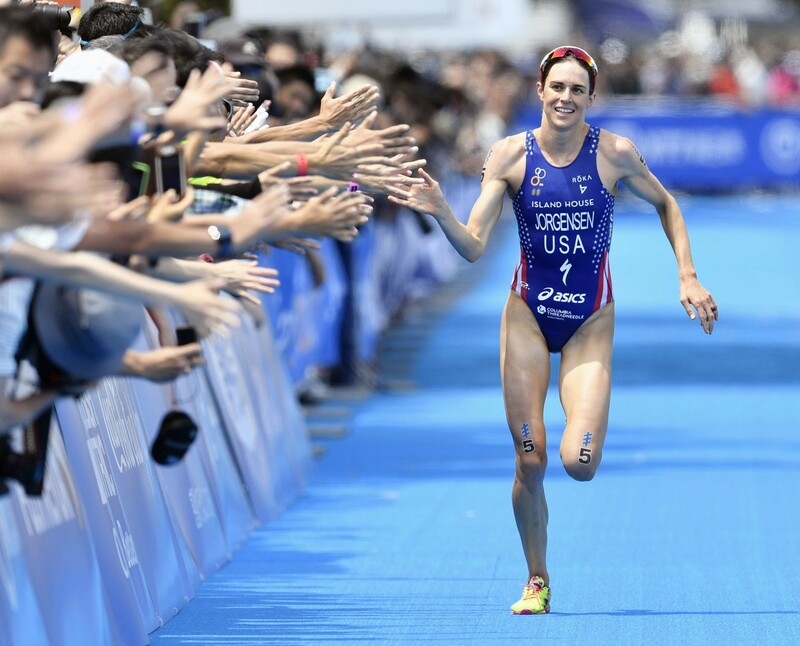 “You’ve got to find things that can make you smile each day when you’re out injured like that, because you’re not out there doing what you love the most,” Hasay said. 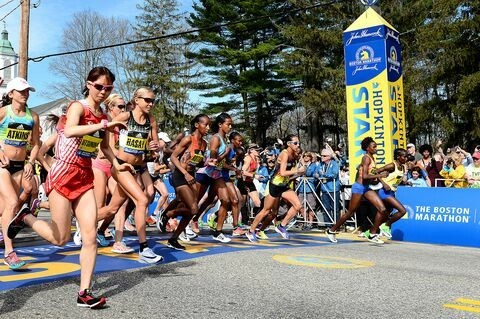 In April, Sarah Sellers started the Boston Marathon with the elite female runners — it was just her second career marathon — and posted a surprising second-place finish. 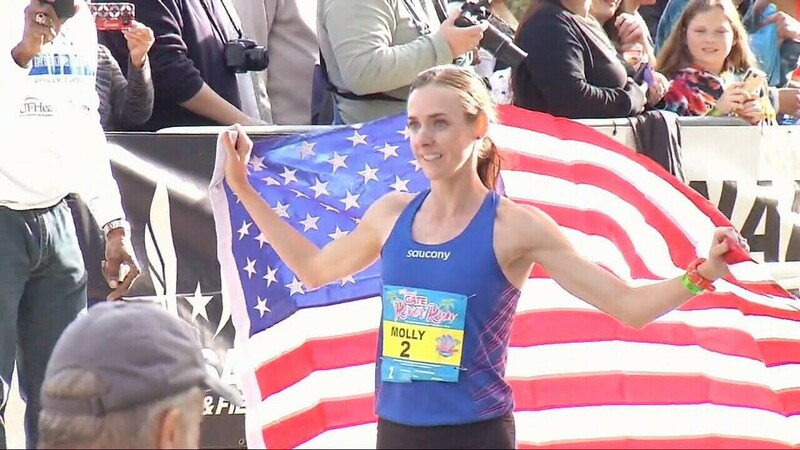 At the 2019 race, she will return as part of the John Hancock US Elite Team. 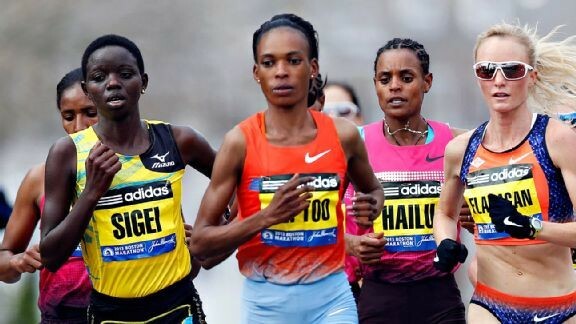 Sellers’s appearance was announced Tuesday along with the rest of the top American runners John Hancock, the race’s primary sponsor, will bring to Boston as part of its elite runner program. 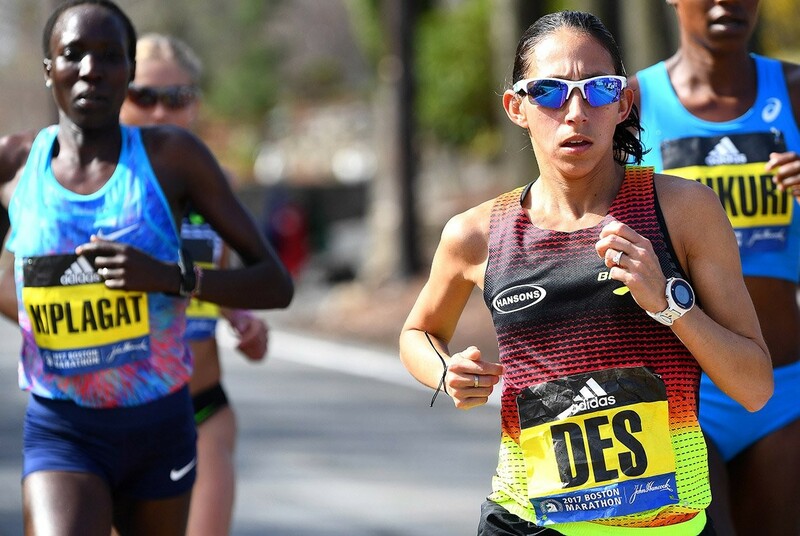 Sellers will join Desiree Linden, whose intention to return to defend her victory was previously announced, and 2017 third-place finisher Jordan Hasay as the top American women in the field for the 2019 Boston Marathon on April 15. 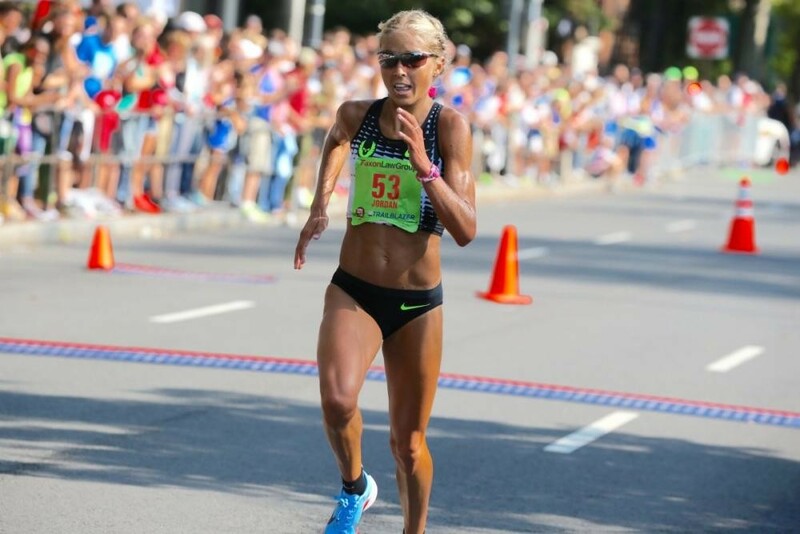 Sarah Hall, the 2017 US National Marathon champion, is also part of the team. 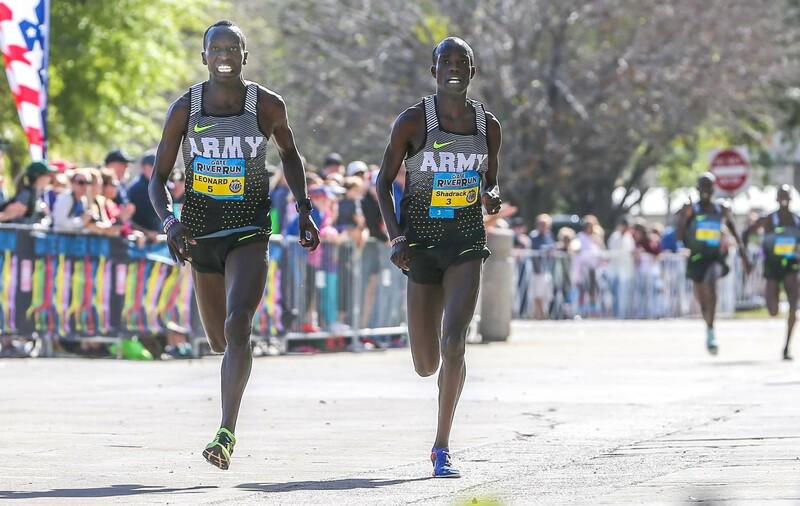 Flash Back: Sellers crossed the finish line in second place at the prestigious 26.2-mile race in rain-soaked conditions as a virtual unknown. 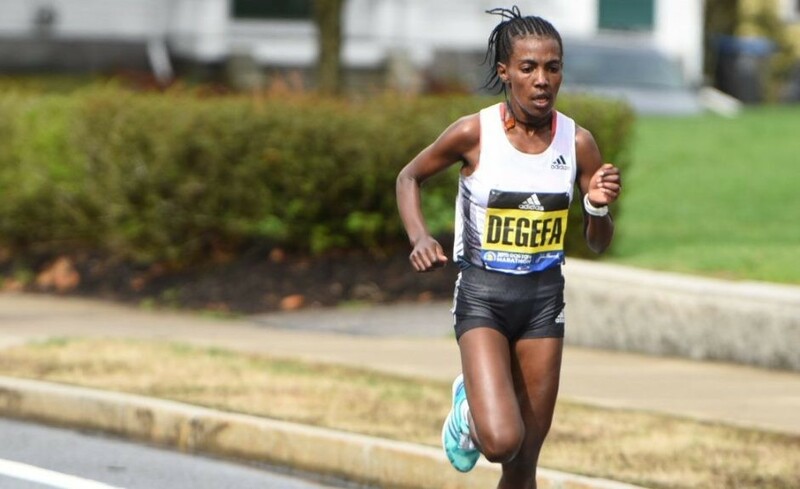 Few online road-race results existed for Sellers, and she was not listed among the elite field. 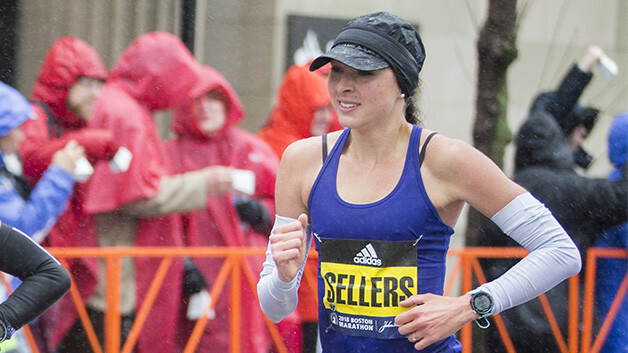 In the wet and windy conditions, Sellers wore a nondescript outfit, with no visible sponsors, and simply clicked the timer on her watch after crossing the finish line. 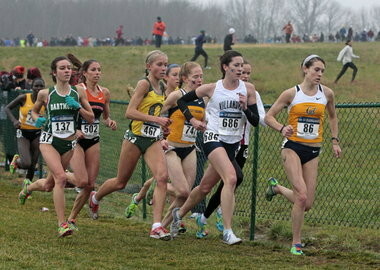 Her time of 2 hours 44 minutes 4 seconds left her in second place, and she was among seven American women in the top 10. 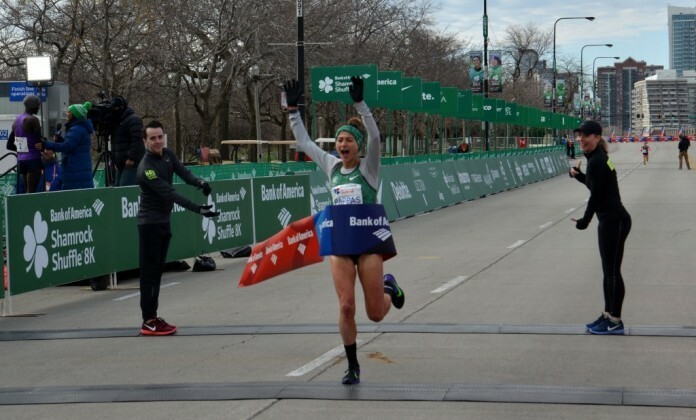 Desiree Linden was the first American woman to win the race since 1985, a historic finish in a race full of surprises.